Lazer's new Z1 helmet looks really good and offers fantastic fit, good ventilation and a low weight of just 220g (size medium) making it the lightest helmet they've ever offered. The fit is really the new Z1's major trump card, it's superior to just about every other high-end helmet on the market. That's down to the the one-piece flexible nylon cradle of the Advanced Rollsys retention system. It wraps around the entire head and evenly distributes pressure, avoiding hotspots. The Advanced Rollsys retention can be easily adjusted via the rotary dial on top of the helmet. You can operate it easily with one hand and do this on the move. I found the fit so good though that I leave the retention intentionally loose, yet the helmet is quite secure and remains in place. There are five clicks of height adjustment inside to tailor the fit. Lazer have paid particular attention to the design of the helmet with regards safety. The new 'T-Pro' feature, which stands for 'temple protection' sees the sides of the outer shell dropping down around the side of the face. Look at it head on and you can see the difference compared to a regular helmet. The idea is to give the top and sides of the face a bit more protection in a crash. They have no impact testing to back this up, but it does meet the three leading safety standards (CE, CPSC, AS). Unlike some helmet manufacturers that produce variants of a helmet to meet different standards around the world, Lazer produce just one design that meets them all. It's well-ventilated, with 31 vents that work exceptionally well in the heat of Tenerife and Majorca, though it's not quite as airy as some other top-end helmets like the POC or Prevail. 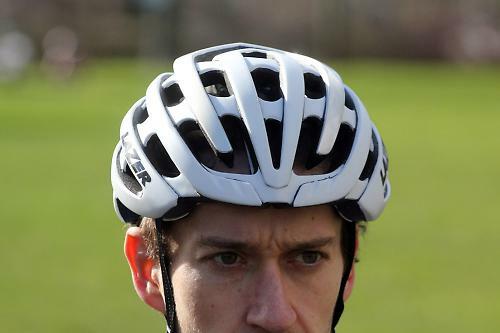 In typical British weather the supplied Aeroshell cover can be easily clipped over the top of the helmet to block up those vents and keep you protected from the elements. The Aeroshell is surprisingly flexible; I've seen this demonstrated with it being rolled up into a tube without snapping or cracking. That means you could slip it into a jersey pocket if the weather suddenly and dramatically improves during a ride. That's not really likely to happen in the UK, but it's nice to know you could, if you wanted to. So the Z1 is one of the most comfortable and well fitting helmets on the market. It compares well to similar top-end offering from Specialized, POC, Giro and Bontrager. It's as stylish as any of them, with a decidedly aggressively sporty appearance that looks good on most heads. The Aeroshell is a smart feature that many helmets don't offer. At £200 it's similarly pricey, but it does offer a few benefits over its rivals. Great fit, good ventilation, light weight. 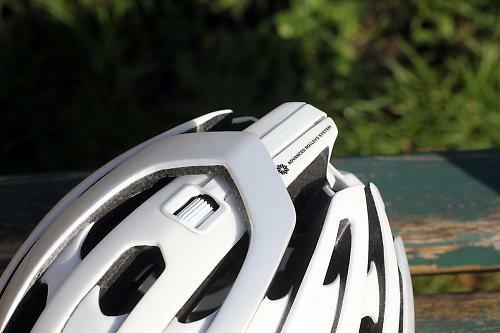 Even though it's Lazer's lightest ever helmet, there are lighter helmets on the market for the same sort of money, but we're talking about 20-30g at most. This is where the Lazer Z1 really scores, it's one of the most comfortable helmets I've yet tested. 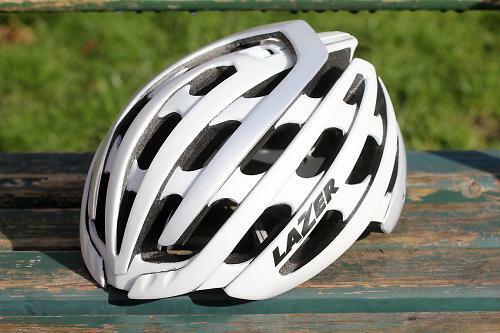 Taking into account the comfort and fit, and the features including the supplied Aeroshell, the Lazer Z1 is good value compared to similarly priced helmets. Does everything you want of a top-end helmet. The fit and lack of pressure spots when riding hard and racing. Can't find anything to fault. UK sale but not at £200 its just taking the p**s. I will try to pick up a helium at clearance price now the Z1 is released. How is that can you rate the Z1 at 9/10 when the price is more than a decent motorcycle helment. Yes I like having nice kit but there is no way I'm prepared to paid £200 for a cycling helment. Do you live in the same ridiculous world as Madison? Join the queue - bought a O2 because it was a great fit and then when I saw there was a aeroshell I couldn't wait to buy one for the same reasons... and I am still waiting... found plenty of places online who list it in their range, but nobody who stocks it or wants to get one for me. Pretty sure we have the O2 aeroshell in stock. Give us a ring or drop an email. I've seen a sample Z1 and it is a really nice lid. Looking forward to getting our first ones. I like Lazer as a brand because it really seems that they're trying to do something a bit different. They've a new system that adds a HR monitor sensor into the forehead pad which will transmit direct to your Ant+ or Bluetooth monitor. You can't even tell it's any different to a normal helmet when wearing it.